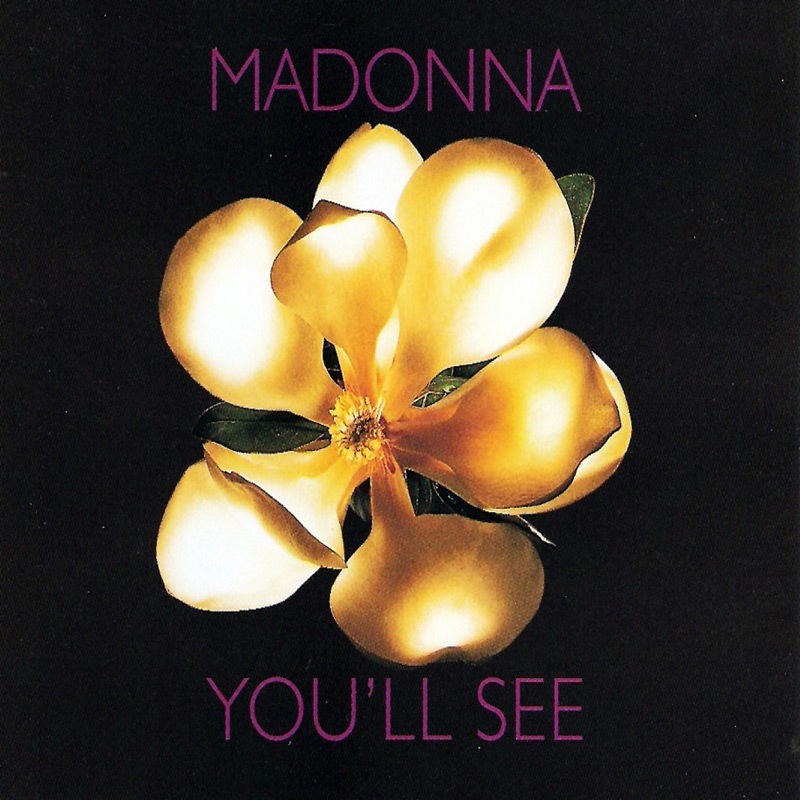 On October 30, 1995, Madonna released You'll See, the lead-off single for Something To Remember. The song can be seen as a follow-up to Take A Bow (see video info). The single did pretty well in the charts, reaching #1 in Japan, #5 in Italy and UK, and #6 in the US. It was certified Gold in the US and Japan. A Spanish version, called Veras, appeared on one of the maxi-singles. Director Michael Haussman and Madonna decided to make the video a direct sequel to Take A Bow. In that video, Madonna was mistreated by her lover, the bullfighter Emilio Munoz. This time she walks out on him, leaving him behind in despair. She's seen on the train and later on a plane, while Emilio tries in vain to catch up with her. Madonna surprised her fans when she performed You'll See on some of the US shows during the Drowned World Tour, instead of Gone, which was part of all the European shows and the other US shows. She might have looked vulnerable, being all alone in the spotlights in the front of the stage, but she proves to be very strong, like the lyrics suggest.